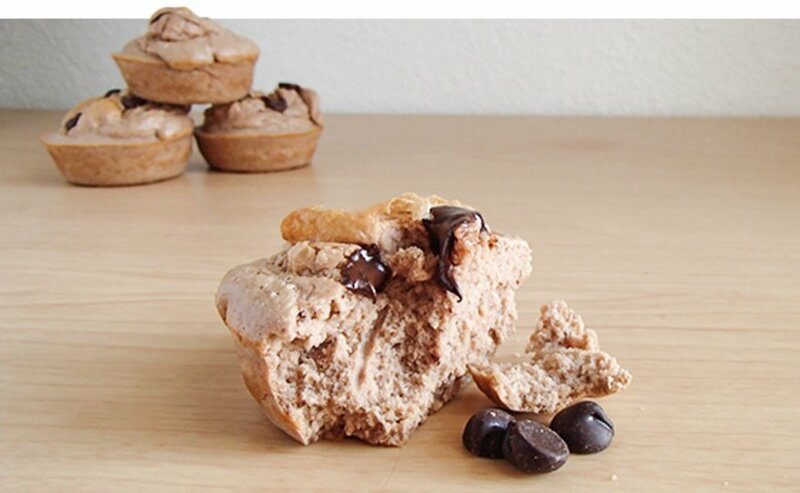 These whey protein muffins are great! In a blender, mix all of the ingredients together for 30 seconds. In a PAM-sprayed muffin tin, divvy the batter up into four muffins. Place in a preheated oven at 375 degrees for 15 minutes. Remove from oven and place three chocolate chips on the top of each muffin. Let them cool, and serve.